At the Allergy, Asthma, and Sinus Institute, we are dedicated to help you alleviate the daily struggles of your condition through an individually designed program specific to your diagnosis. Many of our patients are moderate to severe cases who have not had success with their prior treatments. Dr. Asif Rafi is the only board certified and fellowship-trained Allergist & Immunologist in Los Angeles who has completed additional fellowship training in chronic rhino-sinusitis. His research fellowship also focused on chronic bronchitis, CVID, eczema and allergic skin disorders, and the effects of aging on the immune system. Dr. Rafi is also board certified and fellowship trained in Geriatrics and Gerontology. What distinguishes Dr. Rafi’s practice from other practices is his multidisciplinary approach with each patient. The Allergy, Asthma, and Sinus Institute is an academic private practice where each patient is treated individually for their specific issues in order to get results. At the Allergy, Asthma, and Sinus Institute, we treat all ages – infants, children, adults, and older adults – and strive to provide you with excellent and effective care. Our specialties include Geriatrics consultation, the effects of aging on the immune system, medication consultation, and nutrition in the older adult…. A food allergy causes the immune system to fight off a food. The most common foods that cause allergies include fish, shellfish, peanuts, wheat, eggs, milk, soy and tree nuts. Certain medications are more likely to produce an allergic reaction. They include: antibiotics, aspirin, ibuprofen, anticonvulsants and chemotherapy. Common Variable Immune Deficiency (CVID) is a disorder that impairs the immune system. People with this disorder are susceptible to disease and infections. 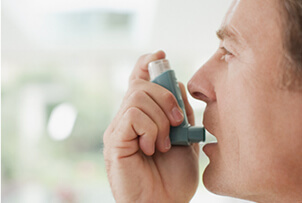 Asthma is a chronic condition that causes inflammation and narrowing of the bronchial tubes. Symptoms include shortness of breath, chest tightness,coughing, and a wheezing sound in your chest when you breathe. Skin allergies can mask as dandruff, rosacea or acne. 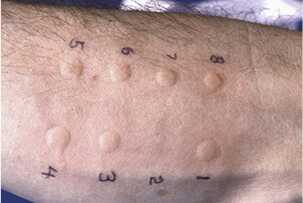 We have a highly effective treatment for skin allergies using antifungals. The word eczema is also used specifically to refer to atopic dermatitis, the most common type of eczema. Atopic dermatitis is allergy of the skin. 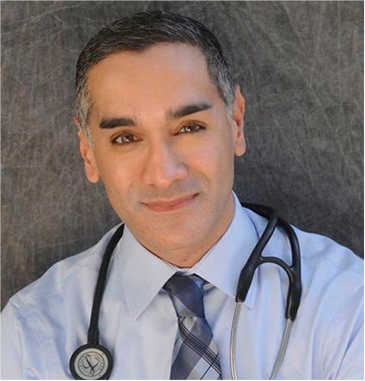 Dr. Rafi is board certified in Allergy and Immunology and Geriatrics and Gerontology. 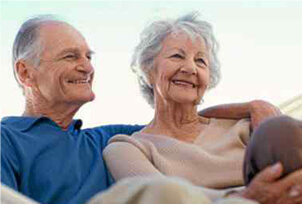 He also holds advanced certification in Geriatrics with a focus on immune function. Dr. Rafi began his interest in Immunology as a Senior Research Associate at the Georgetown University Medical Center. While there, he completed a 2-year project investigating the epidemiology of HIV and AIDS in the DC metropolitan area. His research team was also one the key sites to be awarded one of the prestigious Women's Interagency HIV Study (WIHS) grants. I was extremely impressed during my first visit to Dr. Rafi’s office. He is knowledgeable, professional and so informative on my health issues. His office staff and assistants are super kind and friendly. Definitely my new healthcare professional and highly recommend.